Zach has experience making homemade fish food flakes and likes to share tips for other hobbyists. If you are what you eat, then your vegetables are what your fish eat, right? Well, while this thinking doesn't hold up for most of life's circumstances, it does apply to Aquaponics! This cutting edge and soil-less gardening practice relies solely on fish byproducts, so doesn't it only make sense to feed aquarium fish with something substantial and all natural? Why yes, it does! In this article, learn how to make your own fish food, in order to keep aquarium occupants looking and feeling their best. Aquaponic gardeners and fish keepers unite! Today, we're talking homemade fish food! Fish are no different than terrestrial animals when it comes to diet. There are some that are mainly herbivores, many that are omnivores and also a handful that are carnivorous. So, if you're wanting to please your fish with homemade food, it helps to first understand what type of eater they are! While the list below won't explain the specific needs of each individual species, it will at least serve as a general guideline as to what your fishes should be eating! 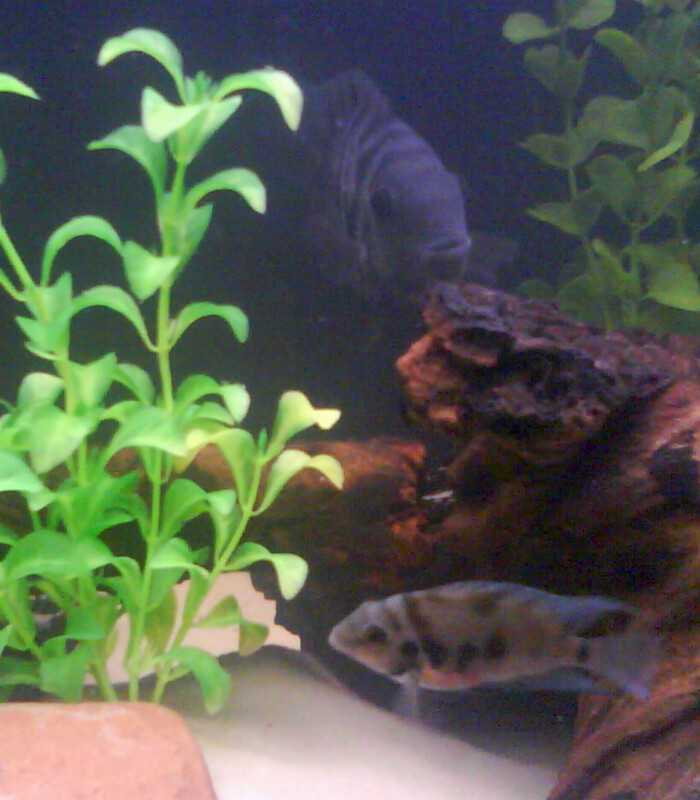 Convict cichlid pair. Although commonly viewed as highly carnivorous, convicts readily eat additions of veggies in their diet. Herbivores: Many aquarium algae eaters (ottocinclus and plecostomus), as well as some tropical species and African cichlids fall into the herbivorous category. While these fish may occasionally eat meat proteins, the majority of their diet consists of plant matter. Omnivores: The majority of aquarium fish for sale will be listed as having an omnivorous diet. These fish will readily take both animal and plant matter, and should be fed both regularly for continued health. Generally speaking, omnivores normally take in more plant matter, so animal proteins are usually limited to around 20-40% of their diet. Carnivores: Like herbivores, there are few aquarium fish that are actually labeled true carnivores. The reason for this is that even carnivorous species tend to eat plant matter in the wild. So, for vitality and longevity in the aquarium, these fish should be typically fed with 60-70% animal matter and 30-40% plant matter. For vegetables and plant matter, I prefer to use produce that was organically grown. As pesticide residues can adversely affect aquatic and microbial life, it's best just to leave conventionally grown produce out of the picture. Little Gem Romaine Lettuce. Dark leafy greens are the perfect base for making fish food. 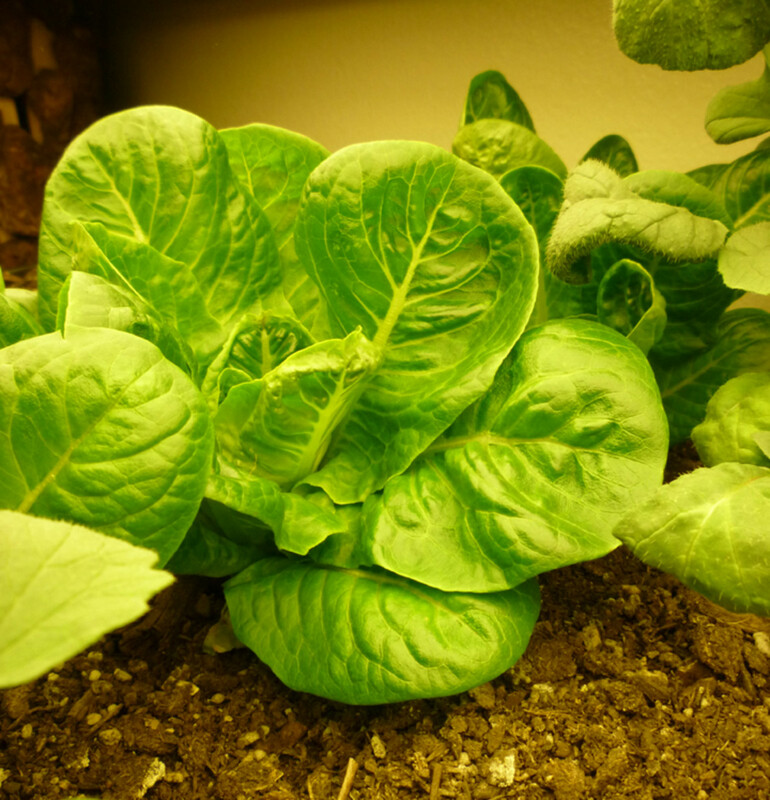 Of course, organic homegrown greens are even better! Dark Leafy Greens: Spinach, Romaine Lettuce, Kale, Sushi Seaweed and Chard provide a rich and nutritious plant base for any diet. Chalked full of vitamins and minerals, these greens simulate the natural aquatic flora consumed by fish species. Garlic: It turns out that garlic is somewhat of a "super food" when it comes to fish. Besides its ability to simulate the appetite of even the most finicky eaters, garlic also maintains fish health by providing anti-bacterial properties. Miscellaneous Fruits/Veggies: On top of your leafy green base, it's a good idea to add a few additional fruits/veggies to your food. Doing so will ensure that nutrition is derived from a variety of sources instead of just a few. This variety in nutrients will keep fish looking and feeling their best. Broccoli, zucchini, carrots, apples, pears, peas and oranges all make for great additions to homemade fish food. 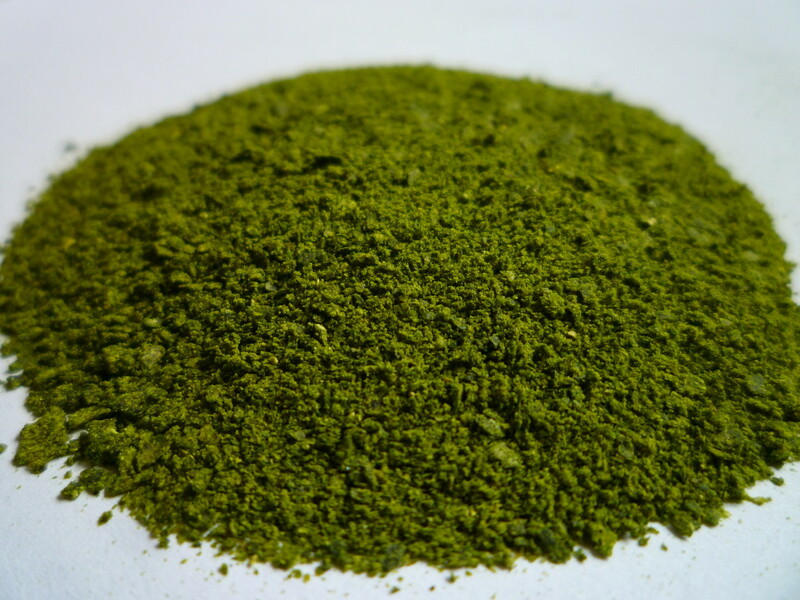 Spirulina Powder: This food additive is a favorite among those who make their own fish food. Composed of cyanobacteria, spirulina powder is rich in minerals, vitamins, and amino acids. 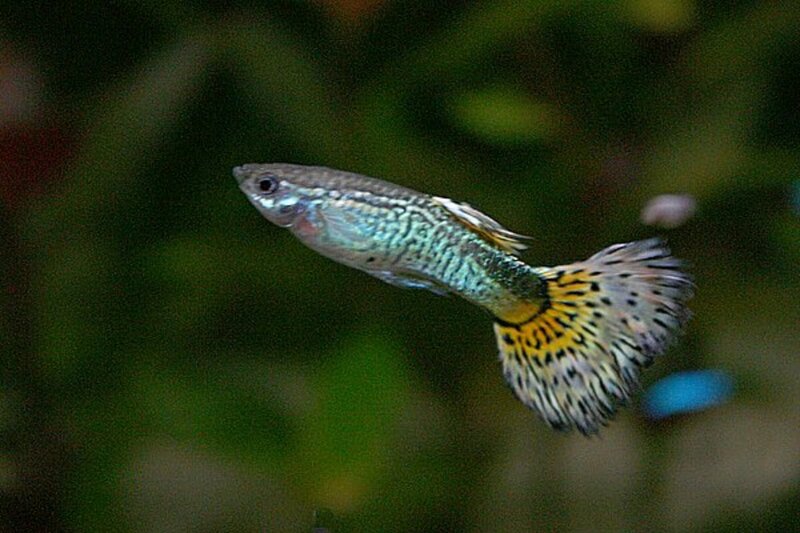 Natural pigments within also help captive fish show their best colors. Potato or Corn Starch: A tablespoon or so of either will be added to the mixture for binding purposes. The starch holds the mixture together so that it creates flakes when dried. When choosing animal proteins, try to seek out wild caught or organically produced options. Conventionally farmed fish and other aquatic life are typically fed a poor diet, and can lack nutritional value compared to their wild, free range counterparts. Use what you have on hand to create your own version! Fish: Other fish are generally acceptable for use in making your own fish food. Wild caught specimens contain a variety of nutrients and proteins, providing a hearty base for any omnivorous or carnivorous diet. To minimize disease and pathogen contamination, always use a species of fish that is different than the ones you're planning to feed it to! Earthworms: Earthworms are an excellent source of proteins and are a fairly inexpensive option for fish food. If you don't want to blend up live worms, just rinse them off and pop them in the freezer beforehand! Miscellaneous Animal Matter: Brine shrimp, blood worms (mosquito larvae), and other bulk frozen foods offer variety to the fish food. Buy from only trusted sources to reduce contaminates and pathogens. The process below outlines how to make fish food flakes. If you're interested in making frozen food, you'll want to follow the procedure outlined in another guide, Homemade Cichlid food. Prep your ingredients. Leafy greens should be rinsed and harder veggies (aka broccoli, carrots, etc.) parboiled. Any frozen ingredients should be thawed. Fish should be descaled, but with bones in. Blend it. That pretty much says it all! Place all of the ingredients into a blender or food processor and pulse until the mixture has reached an even consistency. Strain the mixture. Using a spatula, squeeze the mixture through a medium-fine mesh. This process is the most labor intensive, but will remove any large pieces of bone/veggie that are too big for fish consumption. Dry it out. Dedicate three to four hours for drying your fish food into flakes. This process begins by covering large baking trays with wax or parchment paper. (The paper will prevent the dried food from sticking to the pan.) Next pour the refined mixture onto the sheets and spread into a very thin layer (1/8 -1/4" thick). Place in an oven set to 150°F and allow to dry for 3-4 hours, or until the mixture is thoroughly crumbly. Break it Apart. The sheets will come off in large chunks. Break them down with your hands until they reach the desired size. Store in dark and cool environment. In an airtight container, the fish food will remain good for over a year. There you have it, the freshest and most natural flake fish food around! Best of all, it was you who make the food. 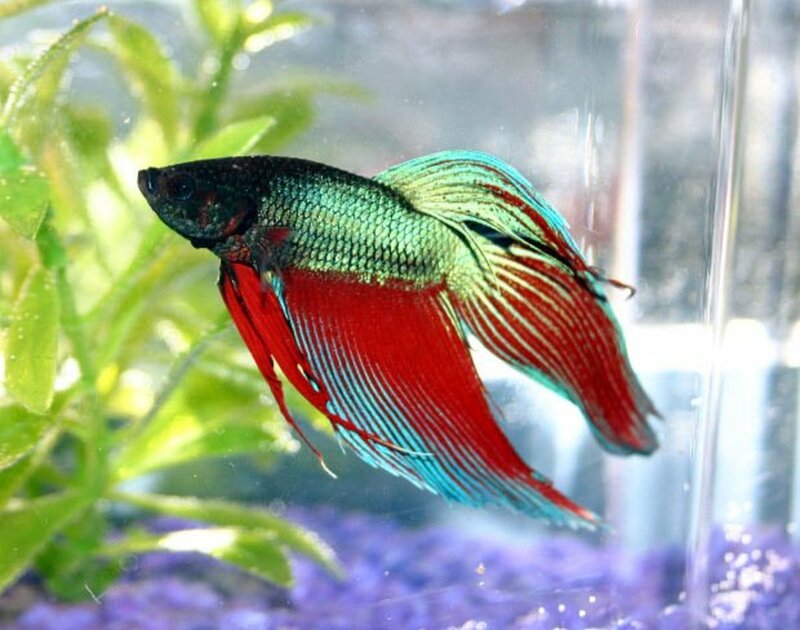 Now, just sit back and watch as your fish take on enhanced coloring and improved health! Remember, you control the fish in the tank, so you might as well have control over their diet. 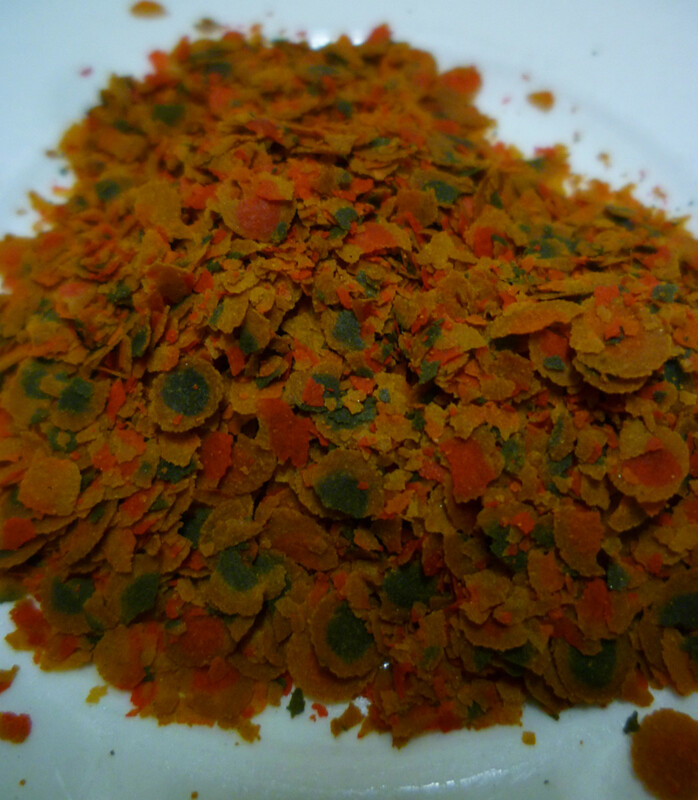 Thank you for reading this article on how to make fish food flakes. Please feel free to leave any comments or questions you may have! 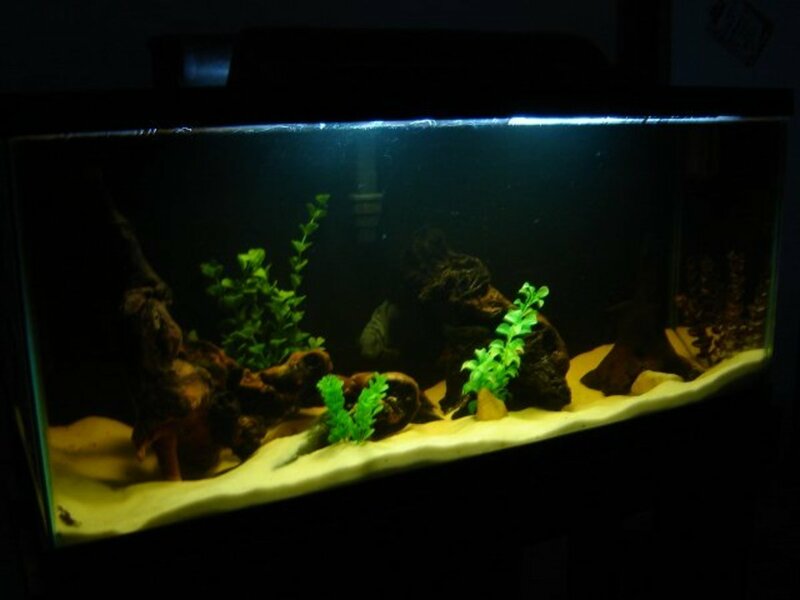 You can solve most problems with food at the bottom of the tank by adjusting how much you feed. 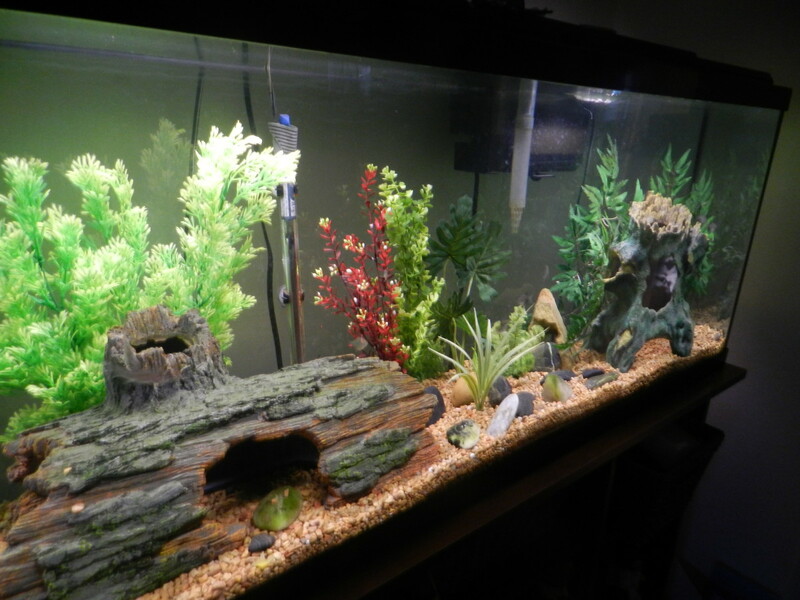 Also regular weekly water changes and gravel vacuuming to remove uneaten food. Carlson: Get bottomfeeding fish, like cory, pleco, or schrimp. Excellent article and I will be putting this into use. Have made a few small batches of dried food and wanted more info. I can see where this would be a popular article with famlies with pet fish. It would be fun to do, yet cut down on expense. Years ago we had an aquarium of beautiful fish and this would have been used in our home. Excellent advice and tips.